In Sanskrit, the word "malioboro" meaning a bouquet. It may have something to do with the past when the palace held a big event then malioboro road will be filled with flowers. 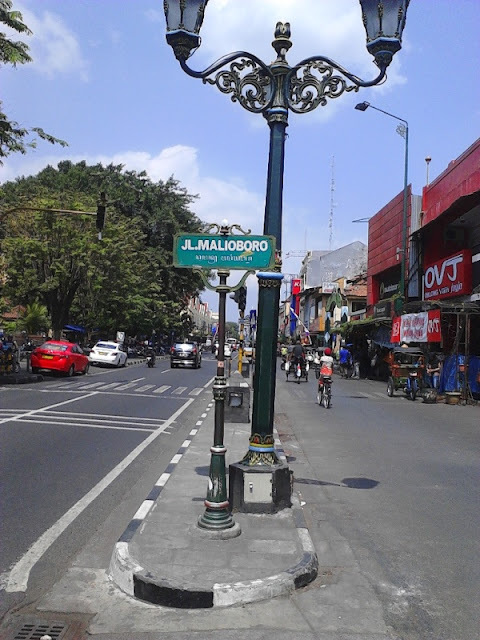 Malioboro word also comes from the name of a colonial British named "Marlborough" who lived there in 1811-1816 AD. Malioboro establishment coincided with the establishment of the Yogyakarta palace (residence of the Sultan). Initial embodiment was part of the concept of cities in Java, Malioboro road styled as an imaginary north-south axis that is correlated with the Palace to Mount Merapi in the north and the South Sea as a symbol of the supernatural. In the colonial era (1790-1945) urban pattern was disrupted by the Dutch who built Vredeburg fort (1790) at the southern end of Malioboro road. In addition to build a fort, the Dutch also built the Dutch Club (1822), the Dutch Governor's Residence (1830), the Java Bank and the Post Office to maintain their dominance in Yogyakarta. The rapid development occurred at that time caused by business trading between the Dutch with Chinese. Also due to the division of land in sub-segments of Malioboro Road by the Sultan to the people of China and famously known as the District of China. 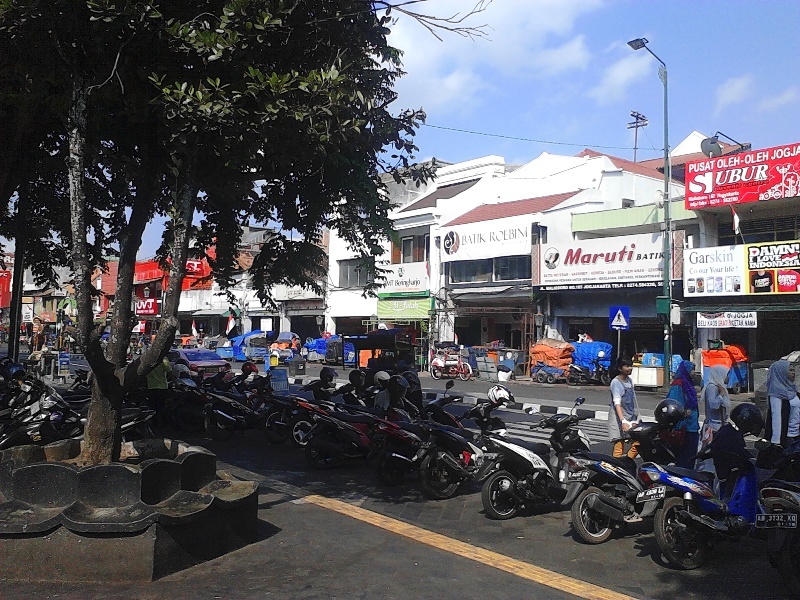 The city development at that time was dominated by the Dutch in building facilities to boost the economy and their strength, like the construction of the main station (1887) on Malioboro Road, which is physically managed to divide the road into two parts. Meanwhile, Malioboro Road has an important role in the independence era (post-1945), as the Indonesians fighting for their independence in the fighting both at the North and the South side of the road. 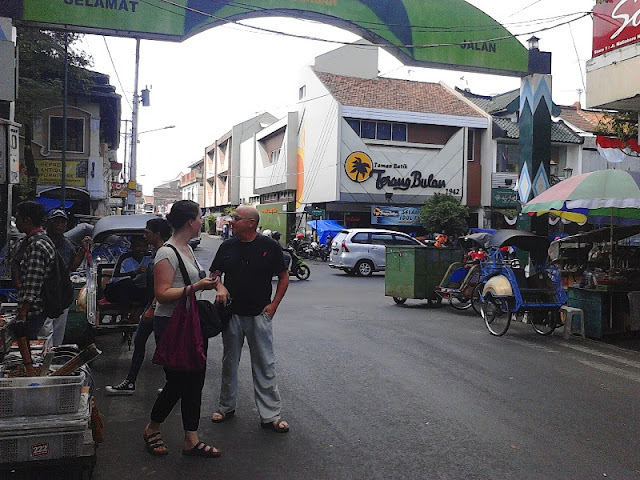 Now, it is the center of the largest tourist area in Yogyakarta, with the history of Dutch colonial architecture mixed with Chinese commercial areas and contemporary. Sidewalks on both sides of the road is crowded with small stalls that sell a variety of merchandise. 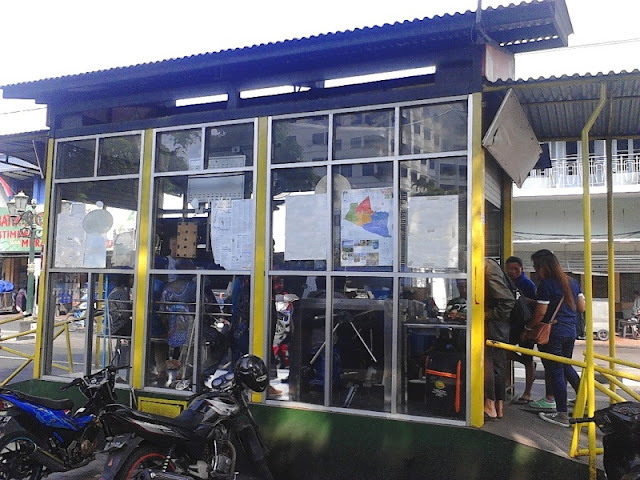 In the evening the few restaurants open, called Lesehan, operates along the road. The road for over the years is a two-way Road, but in the 1980s it has become one direction only, from the railway to the south until Beringharjo traditional market. The largest and oldest hotel during the dutch period, Garuda Hotel, is located at the north end of the road on the East side, adjacent to the railway line. Malioboro also the art historical development of Indonesian literature. Indonesia Anthology Poetry in Yogyakarta 1945-2000 entitled "MALIOBORO" for the book, the book contains 110 poets who lived in Yogyakarta for a period of more than half a century. In the 1970s, Malioboro grow into a dynamic center of art and culture of Jogjakarta. Malioboro Road become the 'stage' for the "street artists" with its centred is Senisono building. But the vitality of the street art was finally halted in the 1990s after the Senisono building was closed. In this area, local people and tourists from all over the country blend into one in performing many interesting activities there, giving a harmonious and peaceful spectacle. Yogyakarta is nicknamed the Gudeg City indeed save a million of beauty as if it's able to bring the magical power for the tourists to come back to visit. Longing for the atmosphere of the city that presents a peaceful feeling has made Malioboro become one of the most desirable destinations in Indonesia. 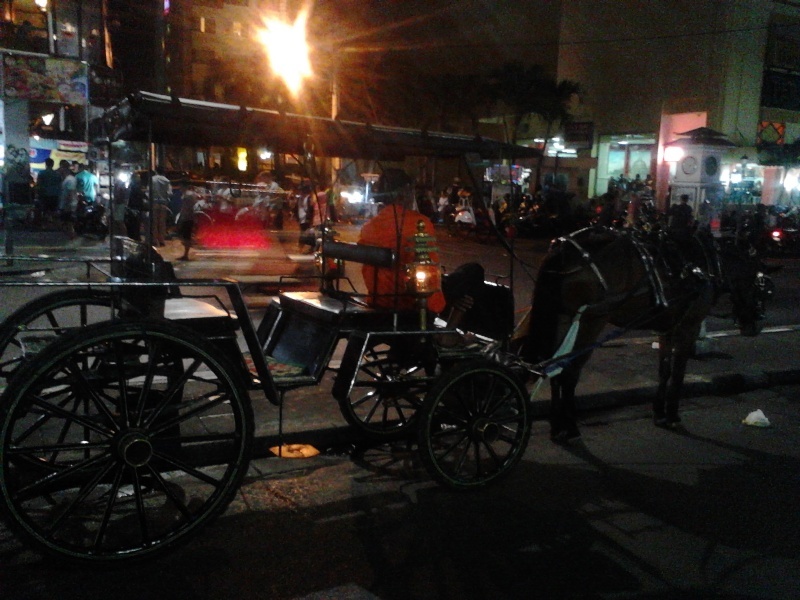 Talk about the nuances of traditional Javanese, Malioboro is one of them. Local wisdom in the midst of the hustle and bustle of the digital age is a unique experience when Exploring the beauty of Javanese culture which is maintained until now in the region. If you come to Yogyakarta and only visit Parangtritis beach or Prambanan course, it is not complete if you have not stopped at Malioboro. Malioboro area stretching along 2.5 kilometers from Tugu Road up to the Central Post Office. This area is never empty of visitors every day. 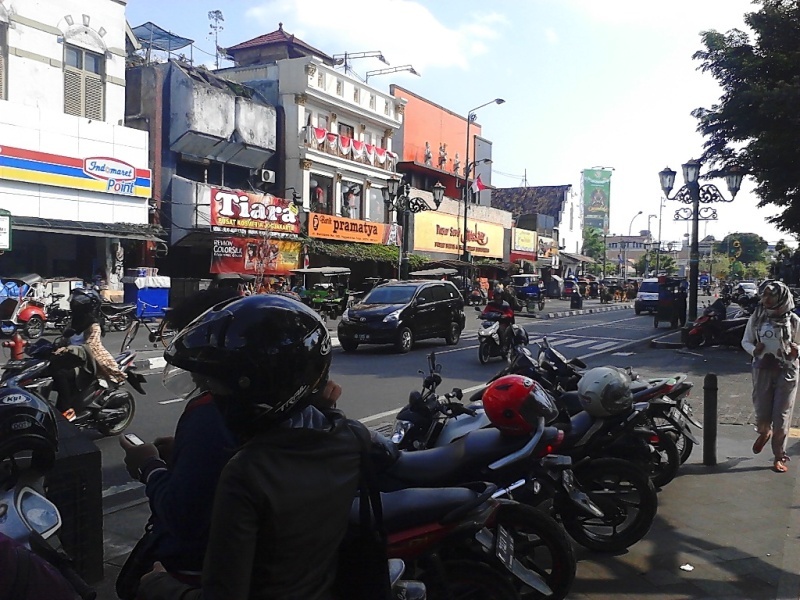 Malioboro road is also fairly close to the royal palace of Yogyakarta. No one thought that if the formerly quiet road with a row of tamarind trees that shade it has now become the most sought after tourist area by both domestic and foreign tourists. Malioboro Road was just an ordinary road used by local residents towards the palace, or to Beringharjo traditional market and to Vredeburg Fort. Malioboro has now transformed become a tourist area that attract every visitor who comes to the city of Yogyakarta. This area is also one of the central souvenirs of Yogyakarta that you should visit. Along Malioboro Road, you can easily find a variety of souvenirs, ranging from Jogja batik, shirts, crafts, blangkon, bakpia Pathok, and Yangko which is a typical of Yogyakarta street snacks. 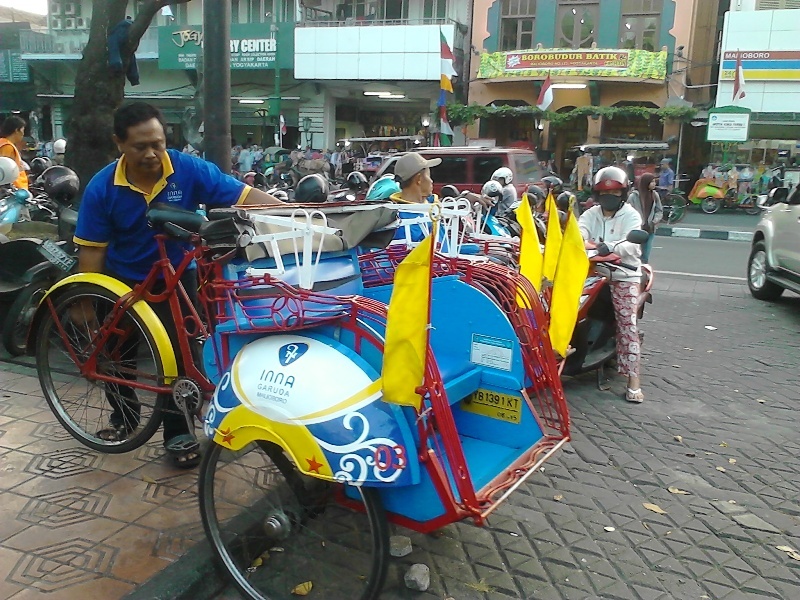 Yogyakarta Tour Best Operator and Guide by Pusaka Tour in Jogja Enjoy variety jogja tourism and dynamic culture.